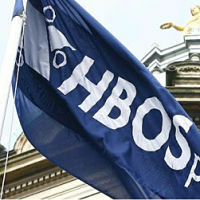 “It was in this heady atmosphere that executives made the fateful decisions that led HBOS to expand unsustainably, leaving it hopelessly overstretched when the credit crunch struck. “It was June 2006 at the upmarket Gleneagles Hotel in Perthshire, and HBOS’s new chief executive was confidently predicting a golden future for the bank. “Tony Blair, George W Bush and Vladimir Putin had held the G8 summit at the site just 11 months earlier, and it was to this glamorous location that Andy Hornby brought his eight-strong executive committee to plot the booming bank’s own rise to power. “Former chief executive James Crosby was about to be knighted for his services to finance, and Mr Hornby had big plans to build on his predecessor and mentor’s legacy. “It was in this heady atmosphere that the executives made the fateful decisions that put the bank on track to expand explosively and unsustainably, leaving it hopelessly overstretched when the credit crunch struck.